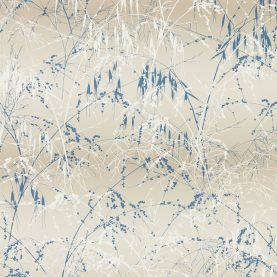 This print is based on the panicum virgatum ‘warrier’ or switch grass, photographed by Clarissa in Kew Gardens, London. 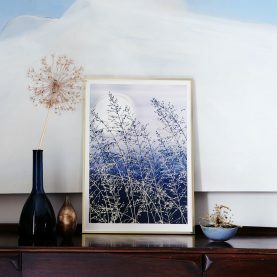 The bushy green foliage is topped by feathery purple flowers in summer. 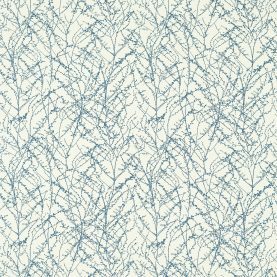 The silhouette is recreated on this indigo Switch Grasses print with a soft gold hand-printed overlay.